After being tested in private by Android users, Skype for Business has been released by Microsoft for all users of the platform. For those rocking an Android powered tablet, a new dashboard style is employed in order to give the app a Windows-like feel. With this design, the contact search bar, upcoming meetings and recent conversations are all in one spot. When it comes time for you to take part in a conversation, click on the Quick Join icon next to the name of an appointment to become part of a meeting. Click on the name of the appointment to learn more details about it. With Skype for Business, everything is right in front of you and you're just a click away from joining conversations and conferences. Full-screen video and large buttons make things easy for the typical tablet wielding Android business user. The Skype for Business app is now available for free from the Google Play Store. However, if you have been using Lync 2013, it will automatically update to the new app. Check out the slideshow to see what the app will look like on your Android phone or tablet. 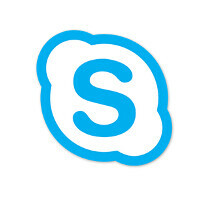 what makes this different from the original skype app? Its an enterprise version. Company can host Microsoft Lync server to serve their in house Messenging and PABX requirement. These group of users would use previously Lync 2010/2013 client available on Android/iOS/Windows Phone now re-branded as Skype for Business. I love Skype Calling despite all the dropped calls. Ms should stabilize it more and add real texting to get more of a foothold on Android and apple since no one is on ms phones. If you use Lync and now you updated to Skype for Business consider you may have some signing in issuess ... First time it loaded fine for me but now it keeps signing in and thats all yo see. I hope this is temporarily server isssue.